Improving the understanding of dementia and access to care for people in Chinese, Indian and Arab communities is the focus of a series of short films funded by the Australian Government. Moving Pictures is a series of 15 films to help people from Culturally and Linguistically Diverse (CALD) backgrounds look out for the warning signs of dementia, where to find help and the types of dementia care available. The short films are based on real-life stories and experiences from carers in CALD groups about what it’s like to look after a loved one with dementia and navigate the aged care system. Aged Care Minister Ken Wyatt says the films have been carefully designed to support communities, families and carers to cut through communication and cultural challenges to help vulnerable people. “Early awareness and diagnosis are key to giving people better treatment and improved quality of life,” he says. The films have been made in five languages - Tamil, Hindi, Cantonese, Mandarin and Arabic - to ensure they reach as many people across Australia as possible. The films have been based on interviews with carers in ethnic communities in Perth (Chinese), Melbourne (Indian) and Sydney (Arabic) and are complemented by dementia awareness comic strips featuring the five language groups. 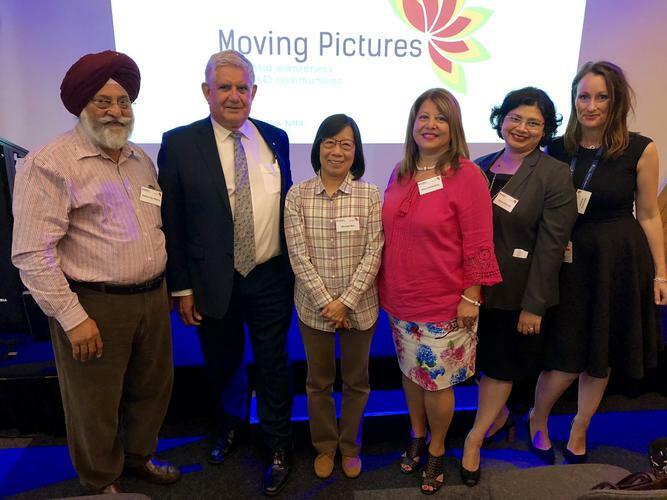 The National Ageing Research Institute (NARI), in conjunction with Curtin University, developed the $563,486 Moving Pictures project through the Government’s $34 million Dementia and Aged Care Services (DACS) research fund. More than 430,000 Australians are currently living with dementia, with this number expected to grow to around 1.1 million by 2056. The Government has also invested $200 million into a five-year Boosting Dementia Research Initiative which Minister Wyatt says has put Australia at the forefront of work towards preventions, treatments and cures. “Research remains our best hope delaying the onset and improving the lives of people living with dementia and their families and carers,” Minister Wyatt says.